ARLINGTON, Va. — Political journalist Ron Fournier has been tabbed as a speaker for NACDS RxImpact Day on Capitol Hill, the National Association of Chain Drug Stores’ annual grassroots lobbying event in Washington. Fournier, senior political columnist and editorial director of National Journal, is scheduled to speak during the RxImpact Day welcome dinner on Wednesday, March 16. He also is the co-author of the New York Times best-seller “Applebee’s America: How Successful Political, Business, and Religious Leaders Connect with the New American Community” and served as Washington bureau chief for the Associated Press before joining National Journal as editor-in-chief in 2010. Fournier has won many awards, including the Society of Professional Journalists’ Sigma Delta Chi Award and the White House Correspondents’ Association Merriman Smith Memorial Award four times. 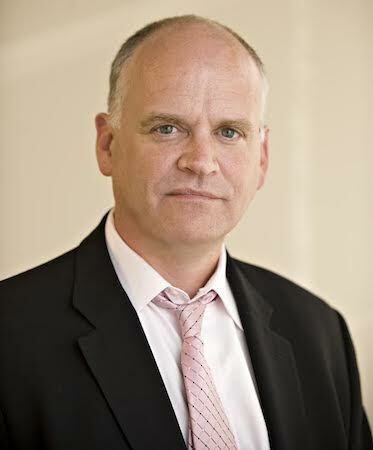 In 2005, Fournier served as a Harvard fellow at the Kennedy School’s Institute of Politics, where he currently serves on the senior advisory board. Fournier’s engagement at RxImpact Day will follow the appearances of Morton Kondracke of Roll Call at the NACDS Regional Chain Conference earlier this month and of former Republican National Committee Chairman and Mississippi Gov. Haley Barbour at NACDS Week last December. Larry Sabato, election analyst and founder of the University of Virginia Center for Politics, is slated to keynote the NACDS Political Action Committee Breakfast at the NACDS Annual Meeting in April.